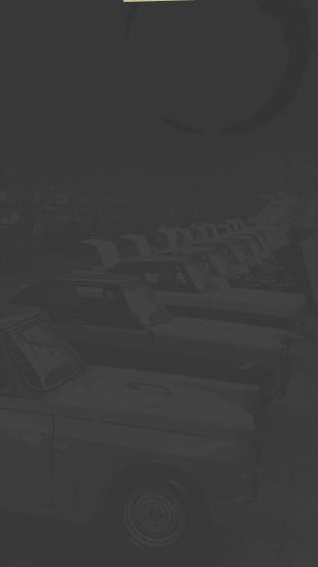 Info: I have a 1960 Triumph Herald Convertible that was just pulled out of storage where it's been for the past 35 or so years. When I was driving it in the early 70's I recall seeing one other in this area, northern Indiana. It was purchased new and driven until about the mid 60's. After that, it was put into storage for around 7 years. In the early 70's, some mechanical work was done on it and it was driven from about '72 to the fall of '74. At that time it was put back into storage where it's been since. While I was away at college, my brother decided to paint it..... (he didn't like the original color), and he started changing the interior. Currently, the exterior is red and the interior is in pieces. About a month ago, I was looking for a project to do and pulled the car out and began working on it. 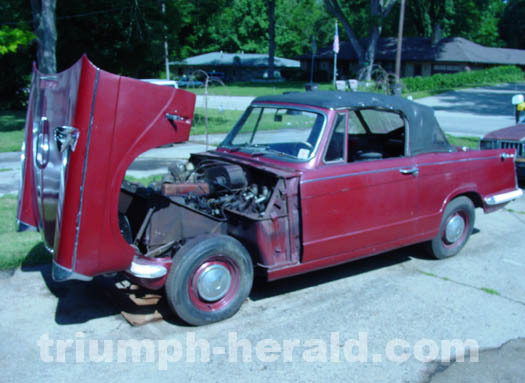 As I said, it's a 1960 Triumph Herald Convertible, (948cc), with less than 29,000 actual miles.